Welcome to QUICK BUZZ – where we highlight upcoming craft beer releases throughout Boulder County. Note: We will continue to update this page, so please check periodically to receive the most current info. 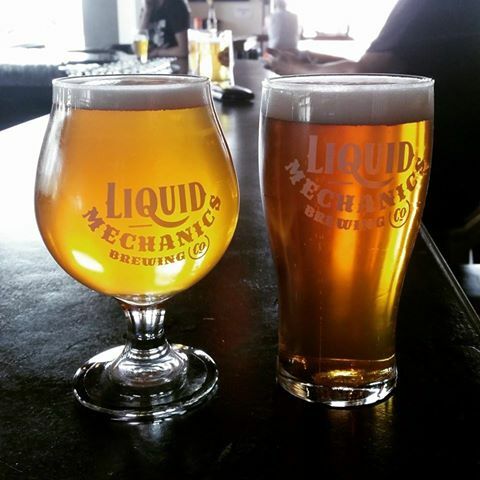 Photo by Liquid Mechanics Brewing. 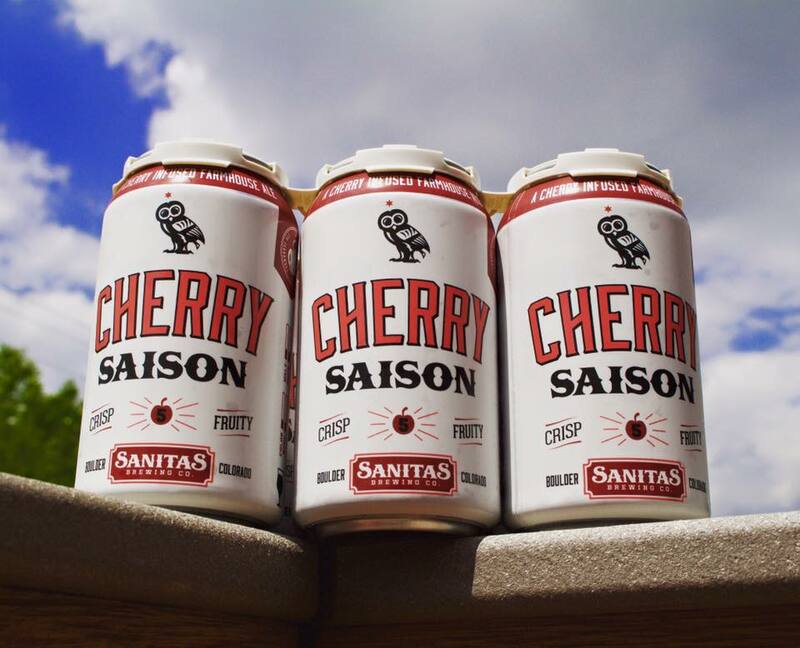 Sanitas Brewing, Boulder: Cherry Saison. 5.9 abv Cherry infused farmhouse ale. From website: “A contemporary saison at heart, this beer is augmented by the addition of tart balaton cherries from Michigan. Crisp and refreshing, the bright Belgian esters dance with a pleasant fruity undertone. A hint of sweetness in the finish rounds out an orchestra of flavors.” Available at the taproom or B town Wine + Spirits. Odd13 Brewing, Lafayette: Double Dry Hopped Codename: Superfan taproom only can and draft release. Codename: Superfan is a super juicy, hazy New England Style IPA, that is widely sought after by Colorado craft beer enthusiasts and beyond for its clean hop crispness and fruity balance. Saturdays are for lawn chairs and ice cold cans of Codename: Superfan, and this one is sure to hop things up a bit more by several rounds of double their typical volume of hops during the dry hopping stage. It’s going to be hoptastic, but still very drinkable. You don’t want to miss our Double Dry Hopped can release party of Codename: Superfan! Limit 1 case per customer and you’ll receive Odd13 glassware with the purchase of a case. 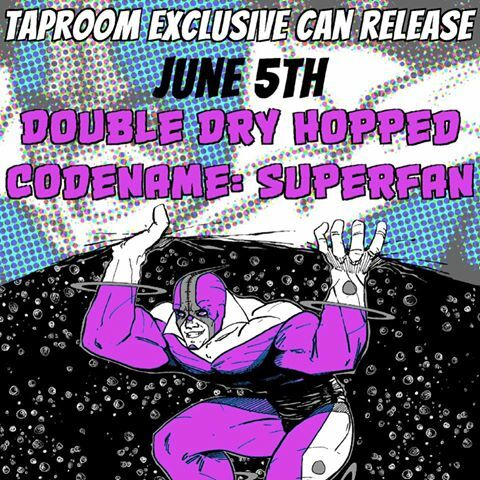 Double Dry Hopped Codename Superfan June 5 at Odd13 Brewing. 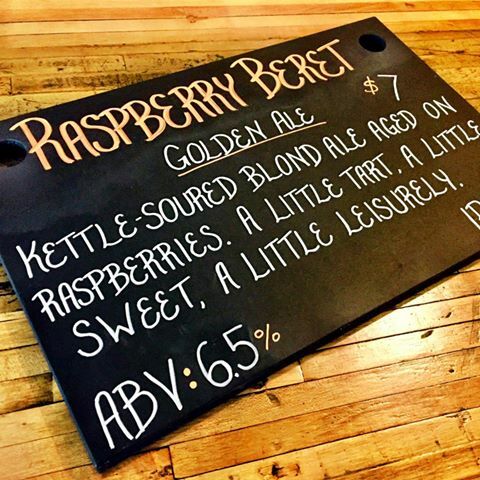 Image by Odd13 Brewing. Avery Brewing Co., Boulder: IPAs and APIs Hackathon. Avery and Mondo Robot combine a few of our favorite things: beer, code, and competition. Avery Brewing Co. and Mondo Robot are proud to present the first IPAs & APIs Hackathon, a 24-hour hackfest happening June 10-12, 2016. Just you or your team, your brains, and the potential to win developer glory and an untold amount of Avery beer. Winners will be announced at Avery Brewing Co. on Sunday during the hack-preciation party. Free beer and grub for all those who could hack it! All proceeds will benefit Women Who Code, a non-profit organization inspiring women to excel in technology careers. Register by 5/31. Rockmont 2016, presented by Left Hand Brewing Company is a music + art fest bringing indie rock bands on the rise and a robust showcase of local artists to the Longmont stage. Presented by Left Hand Brewing Co. and the Arts Longmont, the summer concert will bring a diverse sound of rock, punk, funk, and soul with national touring acts featuring J Roddy Walston and The Business, Orgone, and more. Sip from Longmont’s 8 local breweries with local fare a plenty, while taking in the Front Range sunshine. 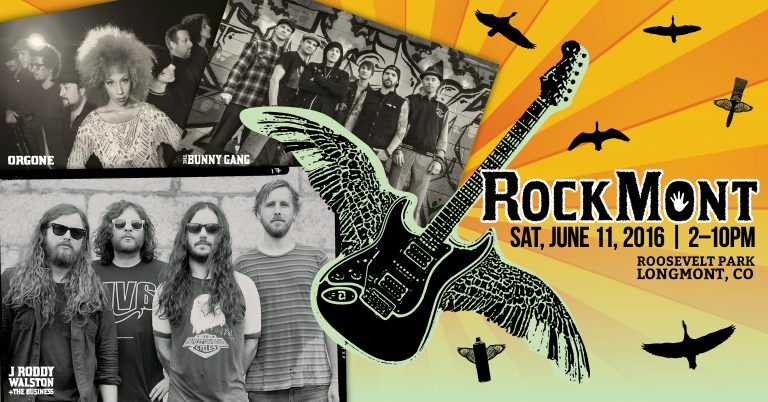 ROCKMONT takes place Saturday, June 11 at Roosevelt Park in Longmont. Image by Left Hand Brewing. Odd13 Brewing, Lafayette: Robot Librarian, collab. Odd13 Brewing is anxiously awaiting the release of a 4-way collaboration brew with Weldworks, Fiction, and Cerebral Brewing (Denver). The release of this beer, Robot Librarian, in cans and on tap will be June 16th and the taproom will also have hazy hoppy beers on tap from each of the breweries that day. Summer Beer Dinner with Gravity Brewing at Arugula Restaurant. Arugula’s annual summer beer dinner, co-hosted with Gravity Brewing (Louisville), celebrates the start of summer with some tasty and refreshing brews. This event is sure to please any palate, offering a delicious menu inspired by June’s harvest and the unique flavors, aromas and spice notes of Gravity’s craft beers. For a full menu, click here. Check back for updates as this will be continuously updated.